I still can't believe that February has blown by this fast! Super scary, but also exciting as I have plans on the horizon I'm looking forward to. Does anybody else feel like time is seriously just slipping away? FREAKS ME OUT. With that, comes the weather. Florida weather is really toying with my emotions right now... It's hot, then cold, then hot, then endless rain. Make up your mind already. Following the mini hurricane that covered most of the sunny state this week, the days have been a little cooler (and WINDY). I'm not complaining at all - anything other than the obscenely hot days means that I am content. 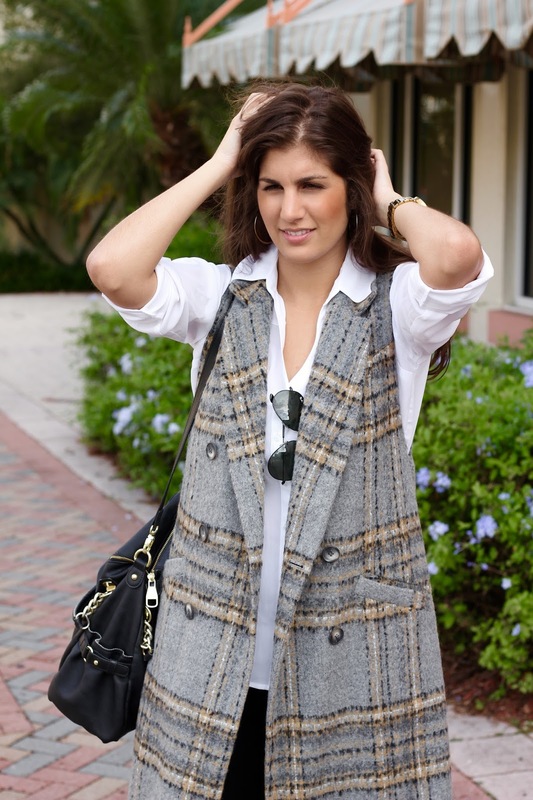 This sleeveless trench has been getting me through as it adds a layer of warmth but isn't too much for the sunny days! Plus, it's great for the office - seriously it's like a tundra at work. Have any great layering pieces you're loving right now? Share below!! I always go for long waisted items, so this trench is a no brainer for me. brava! I love the length. I'm a short girl so it'd probably hit my ankles or close to it. I still want it! 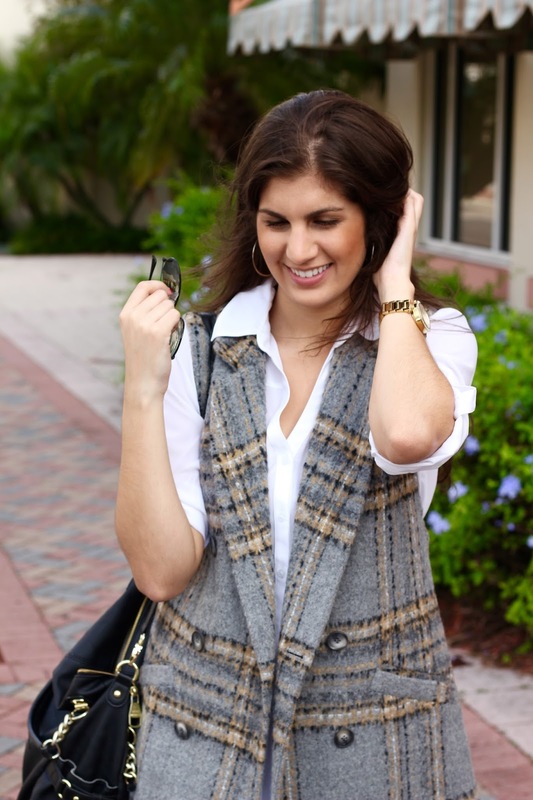 I love this plaid sleeveless trench!! 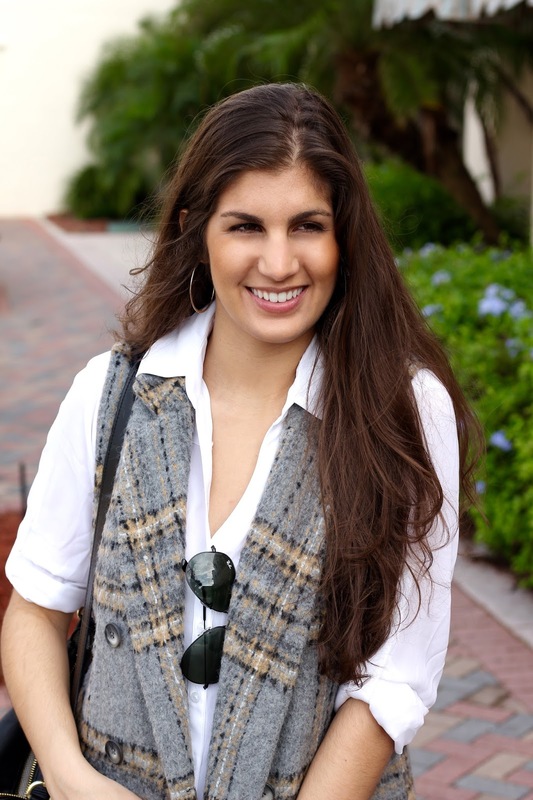 It's such a fun piece to have in your wardrobe! 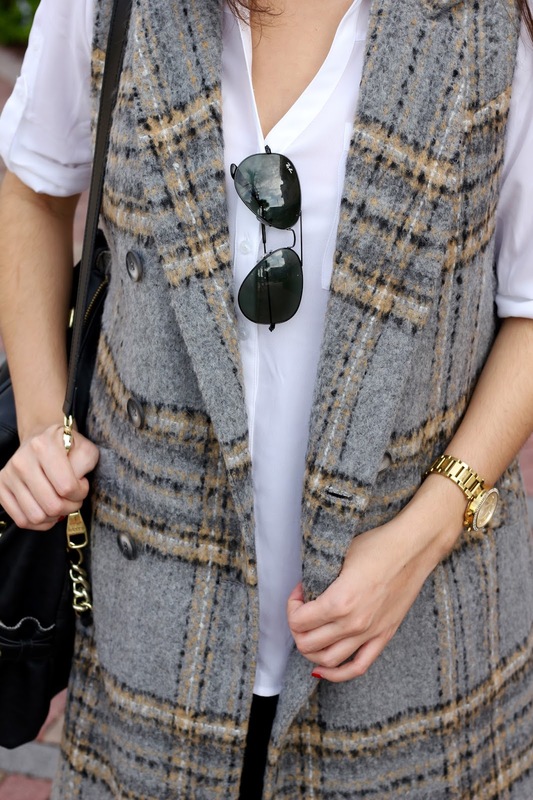 This trench is fantastic! And, really, how perfect is it for transitioning into spring? LOVE this trench. I have a dusty pink one that I'm totally obsessed with. It's a perfect transition piece. Such a cute trench! I love the plaid! 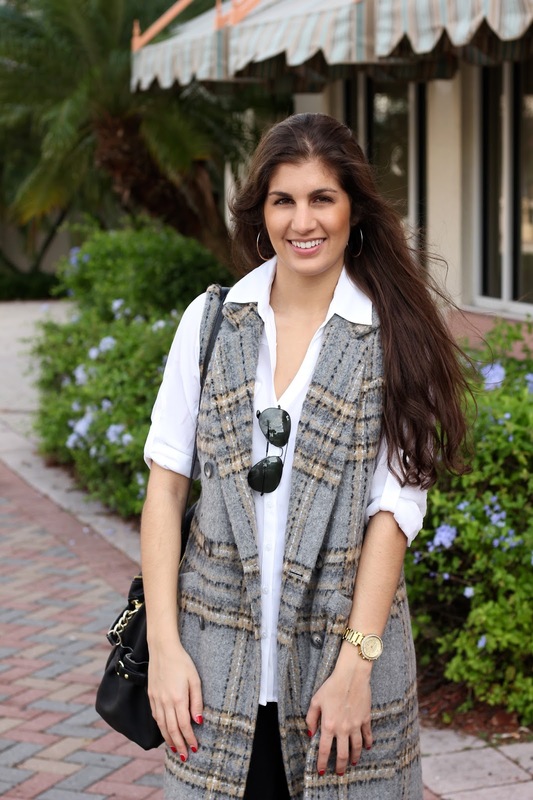 What a cute plaid sleeveless trench! You styled it beautifully as well!